Tikal was a Maya city of great power and size, the largest of Maya cities during the “Classic Era” over 1000 years ago. During this time, the city dominated much of the Maya region politically, economically, and militarily. There is evidence that Tikal was conquered by Teotihuacan in the 4th century AD. Following the end of the Late Classic Period, no new major monuments were built at Tikal and there is evidence that elite palaces were burned. These events were coupled with a gradual population decline, culminating with the site’s abandonment by the end of the 10th century. Tikal is perhaps the most breathtaking because of the scattered impressive buildings which have been restored in an area with many more ruined buildings still enveloped by the jungle. The sight of the temples poking through the canopy is quite awesome. You can climb to the top of a few of the temples and get panoramic views from above the tree tops. The name Tikal may be derived from “ti ak’al” in the Yucatec Maya language; it is said to be a relatively modern name meaning “at the waterhole”. The name was apparently applied to one of the site’s ancient reservoirs by hunters and travelers in the region. It has alternatively been interpreted as meaning “the place of the voices” in the Itza Maya language. Tikal, however, is not the ancient name for the site but rather the name adopted shortly after its discovery in the 1840s. Hieroglyphic inscriptions at the ruins refer to the ancient city as Yax Mutal or Yax Mutul, meaning “First Mutal”. 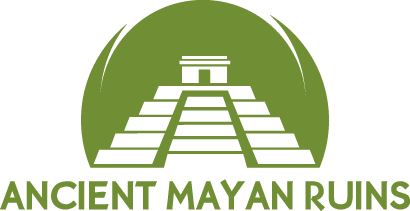 Tikal may have come to have been called this because Dos Pilas also came to use the same emblem glyph; the rulers of the city presumably wanted to distinguish themselves as the first city to bear the name. The kingdom as a whole was simply called Mutul, which is the reading of the “hair bundle” emblem glyph seen in the accompanying photo. Its precise meaning remains obscure. The site, however, was often at war and inscriptions tell of alliances and conflict with other Maya states, including Uaxactun, Caracol, Naranjo and Calakmul. The site was defeated at the end of the Early Classic by Caracol, which rose to take Tikal’s place as the paramount center in the southern Maya lowlands. The earlier part of the Early Classic saw hostilities between Tikal and its neighbor Uaxactun, with Uaxactun recording the capture of prisoners from Tikal. The fourteenth king of Tikal was Chak Tok Ich’aak (Great Jaguar Paw). Chak Tok Ich’aak built a palace that was preserved and developed by later rulers until it became the core of the Central Acropolis. Little is known about Chak Tok Ich’aak except that he was killed on 14 January 378 AD. On the same day, Siyah K’ak’ (Fire Is Born) arrived from the west, having passed through El Peru, a site to the west of Tikal, on 8 January. On Stela 31 he is named as “Lord of the West”. Siyah K’ak’ was probably a foreign general serving a figure represented by a non-Maya hieroglyph of a spearthrower combined with an owl, a glyph that is well known from the great metropolis of Teotihuacan in the distant Valley of Mexico. Spearthrower Owl may even have been the ruler of Teotihuacan. These recorded events strongly suggest that Siyah K’ak’ led a Teotihuacan invasion that defeated the native Tikal king, who was captured and immediately executed. Siyah K’ak’ appears to have been aided by a powerful political faction at Tikal itself; roughly at the time of the conquest, a group of Teotihuacan natives were apparently residing near the Lost World complex. He also exerted control over other cities in the area, including Uaxactun, where he became king, but did not take the throne of Tikal for himself. Within a year, the son of Spearthrower Owl by the name of Yax Nuun Ayiin I (First Crocodile) had been installed as the tenth king of Tikal while he was still a boy, being enthroned on 13 September 379. He reigned for 47 years as king of Tikal, and remained a vassal of Siyah K’ak’ for as long as the latter lived. It seems likely that Yax Nuun Ayiin I took a wife from the preexisting, defeated, Tikal dynasty and thus legitimized the right to rule of his son, Siyaj Chan K’awiil II. Although the new rulers of Tikal were foreign, their descendants were rapidly Mayanized. Tikal became the key ally and trading partner of Teotihuacan in the Maya lowlands. After being conquered by Teotihuacan, Tikal rapidly dominated the northern and eastern Peten. Uaxactun, together with smaller towns in the region, were absorbed into Tikal’s kingdom. Other sites, such as Bejucal and Motul de San José near Lake Petén Itzá became vassals of their more powerful neighbor to the north. By the middle of the 5th century Tikal had a core territory of at least 25 kilometres (16 mi) in every direction. Around the 5th century an impressive system of fortifications consisting of ditches and earthworks was built along the northern periphery of Tikal’s hinterland, joining up with the natural defenses provided by large areas of swampland lying to the east and west of the city. Additional fortifications were probably also built to the south. These defenses protected Tikal’s core population and agricultural resources, encircling an area of approximately 120 square kilometres (46 sq mi). Recent research suggests that the earthworks served as a water collection system rather than a defensive purpose. In the 5th century the power of the city reached as far south as Copán, whose founder K’inich Yax K’uk’ Mo’ was clearly connected with Tikal. Copán itself was not in an ethnically Maya region and the founding of the Copán dynasty probably involved the direct intervention of Tikal. K’inich Yax K’uk’ Mo’ arrived in Copán in December 426 and bone analysis of his remains shows that he passed his childhood and youth at Tikal. An individual known as Ajaw K’uk’ Mo’ (lord K’uk’ Mo’) is referred to in an early text at Tikal and may well be the same person. His tomb had Teotihuacan characteristics and he was depicted in later portraits dressed in the warrior garb of Teotihuacan. Hieroglyphic texts refer to him as “Lord of the West”, much like Siyah K’ak’. At the same time, in late 426, Copán founded the nearby site of Quiriguá, possibly sponsored by Tikal itself. The founding of these two centers may have been part of an effort to impose Tikal’s authority upon the southeastern portion of the Maya region. The interaction between these sites and Tikal was intense over the next three centuries. The early 6th century saw another queen ruling the city, known only as the “Lady of Tikal”, who was very likely a daughter of Chak Tok Ich’aak II. She seems never to have ruled in her own right, rather being partnered with male co-rulers. The first of these was Kaloomte’ B’alam, who seems to have had a long career as a general at Tikal before becoming co-ruler and 19th in the dynastic sequence. The Lady of Tikal herself seems not have been counted in the dynastic numbering. It appears she was later paired with lord “Bird Claw”, who is presumed to be the otherwise unknown 20th ruler. In the mid 6th century, Caracol seems to have allied with Calakmul and defeated Tikal, closing the Early Classic. The “Tikal hiatus” refers to a period between the late 6th to late 7th century where there was a lapse in the writing of inscriptions and large-scale construction at Tikal. In the latter half of the 6th century AD, a serious crisis befell the city, with no new stelae being erected and with widespread deliberate mutilation of public sculpture. This hiatus in activity at Tikal was long unexplained until later epigraphic decipherments identified that the period was prompted by Tikal’s comprehensive defeat at the hands of Calakmul and the Caracol polity in AD 562, a defeat that seems to have resulted in the capture and sacrifice of the king of Tikal. The badly eroded Altar 21 at Caracol described how Tikal suffered this disastrous defeat in a major war in April 562. It seems that Caracol was an ally of Calakmul in the wider conflict between that city and Tikal, with the defeat of Tikal having a lasting impact upon the city. Tikal was not sacked but its power and influence were broken. After its great victory, Caracol grew rapidly and some of Tikal’s population may have been forcibly relocated there. During the hiatus period, at least one ruler of Tikal took refuge with Janaab’ Pakal of Palenque, another of Calakmul’s victims. Calakmul itself thrived during Tikal’s long hiatus period. In 629 Tikal founded Dos Pilas, some 110 kilometres (68 mi) to the southwest, as a military outpost in order to control trade along the course of the Pasión River. B’alaj Chan K’awiil was installed on the throne of the new outpost at the age of four, in 635, and for many years served as a loyal vassal fighting for his brother, the king of Tikal. Roughly twenty years later Dos Pilas was attacked by Calakmul and was soundly defeated. B’alaj Chan K’awiil was captured by the king of Calakmul but, instead of being sacrificed, he was re-instated on his throne as a vassal of his former enemy, and attacked Tikal in 657, forcing Nuun Ujol Chaak, the then king of Tikal, to temporarily abandon the city. The first two rulers of Dos Pilas continued to use the Mutal emblem glyph of Tikal, and they probably felt that they had a legitimate claim to the throne of Tikal itself. For some reason, B’alaj Chan K’awiil was not installed as the new ruler of Tikal; instead he stayed at Dos Pilas. Tikal counterattacked against Dos Pilas in 672, driving B’alaj Chan K’awiil into an exile that lasted five years. Calakmul tried to encircle Tikal within an area dominated by its allies, such as El Peru, Dos Pilas and Caracol. In 682, Jasaw Chan K’awiil I erected the first dated monument at Tikal in 120 years and claimed the title of kaloomte’, so ending the hiatus. He initiated a programme of new construction and turned the tables on Calakmul when, in 695, he captured the enemy noble and threw the enemy state into a long decline from which it never fully recovered. After this, Calakmul never again erected a monument celebrating a military victory. By the 7th century, there was no active Teotihuacan presence at any Maya site and the center of Teotihuacan had been razed by 700. Even after this, formal war attire illustrated on monuments was Teotihuacan style. Jasaw Chan K’awiil I and his heir Yik’in Chan K’awiil continued hostilities against Calakmul and its allies and imposed firm regional control over the area around Tikal, extending as far as the territory around Lake Petén Itzá. These two rulers were responsible for much of the impressive architecture visible today. In 738, Quiriguá, a vassal of Copán, Tikal’s key ally in the south, switched allegiance to Calakmul, defeated Copán and gained its own independence. It appears that this was a conscious effort on the part of Calakmul to bring about the collapse of Tikal’s southern allies. This upset the balance of power in the southern Maya area and lead to a steady decline in the fortunes of Copán. By the 9th century, the crisis of the Classic Maya collapse was sweeping across the region, with populations plummeting and city after city falling into silence. Increasingly endemic warfare in the Maya region caused Tikal’s supporting population to heavily concentrate close to the city itself, accelerating the use of intensive agriculture and the corresponding environmental decline. Construction continued at the beginning of the century, with the erection of Temple 3, the last of the city’s major pyramids, and the erection of monuments to mark the 19th K’atun in 810. The beginning of the 10th Bak’tun in 830 passed uncelebrated, and marks the beginning of a 60-year hiatus, probably resulting from the collapse of central control in the city. During this hiatus, satellite sites traditionally under Tikal’s control began to erect their own monuments featuring local rulers and using the Mutal emblem glyph, with Tikal apparently lacking the authority or the power to crush these bids for independence. In 849, Jewel K’awiil is mentioned on a stela at Seibal as visiting that city as the Divine Lord of Tikal but he is not recorded elsewhere and Tikal’s once-great power was little more than a memory. The sites of Ixlu and Jimbal had by now inherited the once exclusive Mutal emblem glyph. In the latter half of the 9th century there was an attempt to revive royal power at the much-diminished city of Tikal, as evidenced by a stela erected in the Great Plaza by Jasaw Chan K’awiil II in 869. This was the last monument erected at Tikal before the city finally fell into silence. The former satellites of Tikal, such as Jimbal and Uaxactun, did not last much longer, erecting their final monuments in 889. By the end of the 9th century the vast majority of Tikal’s population had deserted the city, its royal palaces were occupied by squatters and simple thatched dwellings were being erected in the city’s ceremonial plazas. The squatters blocked some doorways in the rooms they reoccupied in the monumental structures of the site and left rubbish that included a mixture of domestic refuse and non-utilitarian items such as musical instruments. These inhabitants reused the earlier monuments for their own ritual activities, far removed from those of the royal dynasty that had erected them. Some monuments were vandalized and some were moved to new locations. Before its final abandonment all respect for the old rulers had disappeared, with the tombs of the North Acropolis being explored for jade and the easier-to-find tombs were looted. After 950, Tikal was all but deserted, although a remnant population may have survived in perishable huts interspersed among the ruins. Even these final inhabitants abandoned the city in the 10th or 11th centuries and the rainforest claimed the ruins for the next thousand years. Some of Tikal’s population may have migrated to the Peten Lakes region, which remained heavily populated in spite of a plunge in population levels in the first half of the 9th century. As is often the case with huge ancient ruins, knowledge of the site was never completely lost in the region. It seems that local people never forgot about Tikal and they guided Guatemalan expeditions to the ruins in the 1850s. Some second- or third-hand accounts of Tikal appeared in print starting in the 17th century, continuing through the writings of John Lloyd Stephens in the early 19th century (Stephens and his illustrator Frederick Catherwood heard rumors of a lost city, with white building tops towering above the jungle, during their 1839-40 travels in the region). Because of the site’s remoteness from modern towns, however, no explorers visited Tikal until Modesto Méndez and Ambrosio Tut, respectively the commissioner and the governor of Petén, visited it in 1848. Artist Eusebio Lara accompanied them and their account was published in Germany in 1853. Several other expeditions came to further investigate, map, and photograph Tikal in the 19th century (including Alfred P. Maudslay in 1881-82) and the early 20th century. Pioneering archaeologists started to clear, map and record the ruins in the 1880s. In 1951, a small airstrip was built at the ruins, which previously could only be reached by several days’ travel through the jungle on foot or mule. In 1956 the Tikal project began to map the city on a scale not previously seen in the Maya area. From 1956 through 1970, major archaeological excavations were carried out by the University of Pennsylvania Tikal Project. They mapped much of the site and excavated and restored many of the structures. Excavations directed by Edwin M. Shook and later by William Coe of the university investigated the North Acropolis and the Central Plaza from 1957 to 1969. The Tikal Project recorded over 200 monuments at the site. In 1979, the Guatemalan government began a further archeological project at Tikal, which continued through to 1984. The ruins lie among the tropical rainforests of northern Guatemala that formed the cradle of lowland Maya civilization. The city itself was located among abundant fertile upland soils, and may have dominated a natural east–west trade route across the Yucatan Peninsula. Conspicuous trees at the Tikal park include gigantic kapok (Ceiba pentandra) the sacred tree of the Maya; tropical cedar (Cedrela odorata), and Honduras mahogany (Swietenia macrophylla). Regarding the fauna, agouti, white-nosed coatis, gray foxes, Geoffroy’s spider monkeys, howler monkeys, harpy eagles, falcons, ocellated turkeys, guans, toucans, green parrots and leafcutter ants can be seen there regularly. Jaguars, jaguarundis, and cougars are also said to roam in the park. For centuries this city was completely covered under jungle. The average annual rainfall at Tikal is 1,945 millimetres (76.6 in). The residential area of Tikal covers an estimated 60 square kilometres (23 sq mi), much of which has not yet been cleared, mapped, or excavated. A huge set of earthworks discovered by Dennis E. Puleston and Donald Callender in the 1960s rings Tikal with a 6-metre (20 ft) wide trench behind a rampart . The 16 square kilometres (6.2 sq mi) area around the site core has been intensively mapped; it may have enclosed an area of some 125 square kilometres (48 sq mi) (see below). Population estimates place the demographic size of the site between 10,000 and 90,000, and possibly 425,000 in the surrounding area. Recently, a project exploring the defensive earthworks has shown that the scale of the earthworks is highly variable and that in many places it is inconsequential as a defensive feature. In addition, some parts of the earthwork were integrated into a canal system. The earthwork of Tikal varies significantly in coverage from what was originally proposed and it is much more complex and multifaceted than originally thought. By the Late Classic, a network of sacbeob (causeways) linked various parts of the city, running for several kilometres through its urban core. These linked the Great Plaza with Temple 4 (located about 750 metres (2,460 feet) to the west) and the Temple of the Inscriptions (about 1 kilometre (0.62 mi) to the southeast). These broad causeways were built of packed and plastered limestone and have been named after early explorers and archaeologists; the Maler, Maudslay, Tozzer and Méndez causeways. They assisted the passage everyday traffic during the rain season and also served as dams. There are nine Twin-Pyramid Complexes at Tikal, one of which was completely dismantled in ancient times and some others were partly destroyed. They vary in size but consist of two pyramids facing each other on an east–west axis. These pyramids are flat-topped and have stairways on all four sides. A row of plain stelae is placed immediately to the west of the eastern pyramid and to the north of the pyramids, and lying roughly equidistant from them, there is usually a sculpted stela and altar pair. On the south side of these complexes there is a long vaulted building containing a single room with nine doorways. The entire complex was built at once and these complexes were built at 20-year (or k’atun) intervals during the Late Classic. The first twin pyramid complex was built in the early 6th century in the East Plaza. It was once thought that these complexes were unique to Tikal but rare examples have now been found at other sites, such as Yaxha and Ixlu, and they may reflect the extent of Tikal’s political dominance in the Late Classic. Group Q is a twin-pyramid complex, and is one of the largest at Tikal. It was built by Yax Nuun Ayiin II in 771 in order to mark the end of the 17th K’atun. Most of it has been restored and its monuments have been re-erected. Temple II (also known as the Temple of the Mask) it was built around AD 700 and stands 38 metres (125 ft) high. Like other major temples at Tikal, the summit shrine had three consecutive chambers with the doorways spanned by wooden lintels, only the middle of which was carved. The temple was dedicated to the wife of Jasaw Chan K’awil, although no tomb was found. The queen’s portrait was carved into the lintel spanning the doorway of the summit shrine. One of the beams from this lintel is now in the American Museum of Natural History in New York City. Temple IV is the tallest temple-pyramid at Tikal, measuring 70 metres (230 ft) from the plaza floor level to the top of its roof comb. Temple IV marks the reign of Yik’in Chan Kawil (Ruler B, the son of Ruler A or Jasaw Chan K’awiil I) and two carved wooden lintels over the doorway that leads into the temple on the pyramid’s summit record a long count date (9.15.10.0.0) that corresponds to CE 741 (Sharer 1994:169). Temple IV is the largest pyramid built anywhere in the Maya region in the 8th century, and as it currently stands is the tallest pre-Columbian structure in the Americas although the Pyramid of the Sun at Teotihuacan may originally have been taller, as may have been one of the structures at El Mirador. Temple 33 was a funerary pyramid erected over the tomb of Siyaj Chan K’awiil I (known as Burial 48) in the North Acropolis. It started life in the Early Classic as a wide basal platform decorated with large stucco masks that flanked the stairway. Later in the Early Classic a new superstructure was added, with its own masks and decorated panels. During the Hiatus a third stage was built over the earlier constructions, the stairway was demolished and another royal burial, of an unidentified ruler, was set into the structure (Burial 23). While the new pyramid was being built another high ranking tomb (Burial 24) was inserted into the rubble core of the building. The pyramid was then completed, standing 33 metres (108 ft) tall. The final version of Temple 33 was completely dismantled by archaeologists in 1965 in order to arrive at the earlier stages of construction. Structure 34 is a pyramid in the North Acropolis that was built by Siyaj Chan K’awiil II over the tomb of his father, Yax Nuun Ayiin I. The pyramid was topped by a three chambered shrine, the rooms situated one behind the other. Structure 5D-43 is an unusual radial temple in the East Plaza, built over a pre-existing twin pyramid complex. It is built into the end of the East Plaza Ballcourt and possessed four entry doorways and three stairways, the fourth (south) side was too close to the Central Acropolis for a stairway on that side. The building has a talud-tablero platform profile, modified from the original style found at Teotihuacan. In fact, it has been suggested that the style of the building has closer affinities with El Tajin and Xochicalco than with Teotihuacan itself. The vertical tablero panels are set between sloping talud panels and are decorated with paired disc symbols. Large flower symbols are set into the sloping talud panels, related to the Venus and star symbols used at Teotihuacan. The roof of the structure was decorated with friezes although only fragments now remain, showing a monstrous face, perhaps that of a jaguar, with another head emerging from the mouth. The second head possesses a bifurcated tongue but is probably not that of a snake. The temple, and its associated ballcourt, probably date to the reign of Nuun Ujol Chaak or that of his son Jasaw Chan K’awiil I, in the later part of the 7th century. The Lost World Pyramid (Structure 5C-54) is the largest structure in the Mundo Perdido complex. It lies in the southwest portion of Tikal’s central core, south of Temple III and west of Temple V. It was decorated with stucco masks of the sun god and dates to the Late Preclassic; this pyramid is part of an enclosed complex of structures that remained intact and un-impacted by later building activity at Tikal. By the end of the Late Preclassic this pyramid was one of the largest structures in the Maya region. It attained its final form during the reign of Chak Tok Ich’aak in the 4th century AD, in the Early Classic, standing more than 30 metres (98 ft) high with stairways on all four sides and a flat top that possibly supported a superstructure built from perishable materials. Although the plaza later suffered significant alteration, the organization of a group of temples on the east side of this complex adheres to the layout that defines the so-called E-Groups, identified as solar observatories. Altar 5 is carved with two nobles, one of whom is probably Jasaw Chan K’awiil I. They are performing a ritual using the bones of an important woman. Altar 5 was found in Complex N, which lies to the west of Temple III. Altar 8 is sculpted with a bound captive. It was found within Complex P in Group H and is now in the Museo Nacional de Arqueología y Etnología in Guatemala City. Altar 9 is associated with Stela 21 and bears the sculpture of a bound captive. It is located in front of Temple VI. Altar 10 is carved with a captive tied to a scaffold. It is in the northern enclosure of Group Q, a twin-pyramid complex and has suffered from erosion. Altar 35 is a plain monument associated with Stela 43. The stela-altar pair is centrally located at the base of the stairway of Temple IV. At Tikal, beams of sapodilla wood were placed as lintels spanning the inner doorways of temples. These are the most elaborately carved wooden lintels to have survived anywhere in the Maya region. Lintel 3 from Temple IV was taken to Basel in Switzerland in the 19th century. It was in almost perfect condition and depicts Yik’in Chan K’awiil seated on a palanquin. Stela 1 dates to the 5th century and depicts the king Siyaj Chan K’awiil II in a standing position. Stela 4 is dated to AD 396, during the reign of Yax Nuun Ayiin after the intrusion of Teotihuacan in the Maya area. The stela displays a mix of Maya and Teotihuacan qualities, and deities from both cultures. It has a portrait of the king with the Underworld Jaguar God under one arm and the Mexican Tlaloc under the other. His helmet is a simplified version of the Teotihuacan War Serpent. Unusually for Maya sculpture, but typically for Teotihuacan, Yax Nuun Ayiin is depicted with a frontal face, rather than in profile. Stela 5 was dedicated in 744 by Yik’in Chan K’awiil. Stela 6 is a badly damaged monument dating to 514 and bears the name of the “Lady of Tikal” who celebrated the end of the 4th K’atun in that year. Stela 10 is twinned with Stela 12 but is badly damaged. It described the accession of Kaloomte’ B’alam in the early 6th century and earlier events in his career, including the capture of a prisoner depicted on the monument. Stela 11 was the last monument ever erected at Tikal; it was dedicated in 869 by Jasaw Chan K’awiil II. Stela 12 is linked to the queen known as the “Lady of Tikal” and king Kaloomte’ B’alam. The queen is described as performing the year-ending rituals but the monument was dedicated in honor of the king. Stela 16 was dedicated in 711, during the reign of Jasaw Chan K’awiil I. The sculpture, including a portrait of the king and a hieroglyphic text, are limited to the front face of the monument. It was found in Complex N, west of Temple III. Stela 18 was one of two stelae erected by Yax Nuun Ayiin I to celebrate the k’atun-ending of AD 396. It was re-erected at the base of Temple 34, his funerary shrine. Stela 19 was dedicated in 790 by Yax Nuun Ayiin II. Stela 20 was found in Complex P, in Group H, and was moved to the Museo Nacional de Arqueología y Etnología in Guatemala City. Stela 21 was dedicated in 736 by Yik’in Chan K’awiil. Only the bottom of the stela is intact, the rest having been mutilated in ancient times. The surviving sculpture is of fine quality, consisting of the feet of a figure and of accompanying hieroglyphic text. The stela is associated with Altar 9 and is located in front of Temple VI. Stela 22 was dedicated in 771 by Yax Nuun Ayiin II in the northern enclosure of Group Q, a twin-pyramid complex. The face of the figure on the stela has been mutilated. Stela 23 was broken in antiquity and was re-erected in a residential complex. The defaced portrait on the monument is that of the so-called “Lady of Tikal”, a daughter of Chak Tok Ich’aak II who became queen at the age of six but never ruled in her own right, being paired with male co-rulers. It dates to the early 6th century. Stela 24 was erected at the foot of Temple 3 in 810, accompanied by Altar 7. Both were broken into fragments in ancient times, although the name of Dark Sun survives on three fragments. Stela 26 was found in the summit shrine of Temple 34, underneath a broken masonry altar. The monument had originally been erected at the base of the temple during the Early Classic period and was later broken, probably at the beginning of the Late Classic. Its remains were then interred within the temple shrine. Stela 29 bears a Long Count (8.12.14.8.15) date equivalent to AD 292, the earliest surviving Long Count date from the Maya lowlands. The stela is also the earliest monument to bear the Tikal emblem glyph. It bears a sculpture of the king facing to the right, holding the head of an underworld jaguar god, one of the patron deities of the city. The stela was deliberately smashed during the 6th century or some time later, the upper portion was dragged away and dumped in a rubbish tip close to Temple III, to be uncovered by archaeologists in 1959. Stela 30 is the first surviving monument to be erected after the Hiatus. Its style and iconography is similar to that of Caracol, one of the more important of Tikal’s enemies. Stela 31 is the accession monument of Siyaj Chan K’awiil II, also bearing two portraits of his father, Yax Nuun Ayiin, as a youth dressed as a Teotihuacan warrior. He carries a spearthrower in one hand and bears a shield decorated with the face of Tlaloc, the Teotihuacan war god. In ancient times the sculpture was broken and the upper portion was moved to the summit of Temple 33 and ritually buried. Stela 31 has been described as the greatest Early Classic sculpture to survive at Tikal. A long hieroglyphic text is carved onto the back of the monument, the longest to survive from the Early Classic, which describes the arrival of Siyah K’ak’ at El Peru and Tikal in January 378. It was also the first stela at Tikal to be carved on all four faces. Stela 32 is a fragmented monument with a foreign Teotihuacan-style sculpture apparently depicting the lord of that city with the attributes of the central Mexican storm god Tlaloc, including his goggle eyes and tasselled headdress. Stela 39 is a broken monument that was erected in the Lost World complex. The upper portion of the stela is missing but the lower portion shows the lower body and legs of Chak Tok Ich’aak, holding a flint axe in his left hand. He is trampling the figure of a bound, richly dressed captive. The monument is dated to AD 376. The text on the back of the monument describes a bloodletting ritual to celebrate a Katun-ending. The stela also names Chak Tok Ich’aak I’s father as K’inich Muwaan Jol. Stela 40 bears a portrait of Kan Chitam and dates to AD 468. Stela 43 is paired with Altar 35. It is a plain monument at the base of the stairway of Temple IV. Burial 1 is a tomb in the Lost World complex. A fine ceramic bowl was recovered from the tomb, with the handle formed from three-dimensional head and neck of a bird emerging from the two-dimensional body painted on the lid. Burial 10 is the tomb of Yax Nuun Ayiin. It is located beneath Structure 34 in the North Acropolis. The tomb contained a rich array of offerings, including ceramic vessels and food, and nine youths were sacrificed to accompany the dead king. A dog was also entombed with the deceased king. Pots in the tomb were stuccoed and painted and many demonstrated a blend of Maya and Teotihuacan styles. Among the offerings was an incense-burner in the shape of an elderly underworld god, sitting on a stool made of human bones and holding a severed head in his hands. The tomb was sealed with a corbel vault, then the pyramid was built on top. Burial 48 is generally accepted as the tomb of Siyaj Chan K’awil. It is located beneath Temple 33 in the North Acropolis. The chamber of the tomb was cut from the bedrock and contained the remains of the king himself together with those of two adolescents who had been sacrificed in order to accompany the deceased ruler. The walls of the tomb were covered with white stucco painted with hieroglyphs that included the Long Count date equivalent to 20 March 457, probably the date of either the death or interment of the king. The king’s skeleton was missing its skull, its femurs and one of its hands while the skeletons of the sacrificial victims were intact. Burial 85 dates to the Late Preclassic and was enclosed by a platform, with a primitive corbel vault. The tomb contained a single male skeleton, which lacked a skull and its thighbones. The dynastic founder of Tikal, Yax Ehb’ Xook, has been linked to this tomb, which lies deep in the heart of the North Acropolis. The deceased had probably died in battle with his body being mutilated by his enemies before being recovered and interred by his followers. The bones were wrapped carefully in textiles to form an upright bundle. The missing head was replaced by a small greenstone mask with shell-inlaid teeth and eyes and bearing a three-pointed royal headband. This head wears an emblem of rulership on its forehead and is a rare Preclassic lowland Maya portrait of a king. Among the contents of the tomb were a stingray spine, a spondylus shell and twenty-six ceramic vessels. Burial 116 is the tomb of Jasaw Chan K’awiil I. It is a large vaulted chamber deep within the pyramid, below the level of the Great Plaza. The tomb contained rich offerings of jadeite, ceramics, shell and works of art. The body of the king was covered with large quantities of jade ornaments including an enormous necklace with especially large beads, as depicted in sculpted portraits of the king. One of the outstanding pieces recovered from the tomb was an ornate jade mosaic vessel with the lid bearing a sculpted portrait of the king himself. Burial 195 was flooded with mud in antiquity. This flood had covered wooden objects that had completely rotted away by the time the tomb was excavated, leaving hollows in the dried mud. Archaeologists filled these hollows with stucco and thus excavated four effigies of the god K’awiil, the wooden originals long gone. Burial 196 is a Late Classic royal tomb that contained a jade mosaic vessel topped with the head of the Maize God. The park’s main gate opens at 06:00, and officially closes at 18:00. Buses and minibuses come in from all surrounding areas on a well maintained road. The closest large modern settlements are Flores and Santa Elena, approximately 64 kilometres (40 mi) by road to the southwest. Tour companies have minibuses that will pick you up from your hotel in Flores and cost GTQ100 return, (including a 4h guided tour) or GTQ70 without the guided tour. Travel time is about 75 min. Minivans also leave from the bus terminal in Santa Elena starting at 06:00 with the first return trip at 12:30, but are not recommended since they cost the same but involve a long walk to the terminal (GTQ70 return without a guide). If you come from Belize, you may be lucky enough to find a collectivo at the border going to Tikal for GTQ100 a person (travel time 100min). 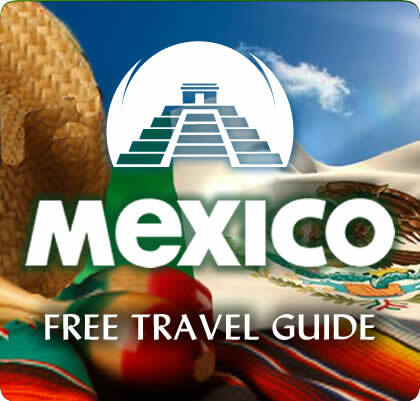 Alternately you can walk to the Melchor bus station which is within sight from the border and take a bus heading to Flores, get off at Ixlu, walk across the intersection, and catch another bus heading to Tikal. Regular GTQ30 second class buses leave from the Santa Elena bus station to Tikal at 06:00, 06:30, 07:00, 08:30, 10:00, 11:30, 12:30, 13:00 and 15:00 arriving two hours later. A bus will stop in Tikal between 16:00 and 16:30 and continue onward to Uaxactún (GTQ10). The local buses do not run on Sundays. Beware about buying a round trip ticket from “Exploradores de la Cultura Maya” from the Santa Elena bus station as they may sell you a return ticket for a bus that doesn’t exist. 2) next to the visitor’s centre and the archaeological sites. As the national park is huge, Checkpoint 1 is 15-20km drive to Checkpoint 2. For those looking to take advantage of the post-15:00 entry into the national park, you should be aware that it needs to be 15:00 by time you pass Checkpoint 2 (and you can pass Checkpoint 1 earlier. E.g. if you take a bus that leaves Flores at 12:30, you would arrive at Checkpoint 1 around 14:00). Beware, if you arrive at Checkpoint 1 before 15:00, some companies’ tour guides will “helpfully” offer to get you a “special deal” for next-day entry for an extra 50Q (saying that this will save you 100Q compared to having to pay 2x150Q for 2 days). If this occurs, politely decline, go to the ticket booth yourself and ask nicely for a ticket for the next day; this will let you enter in the afternoon and all of the following day. Jaguar Inn – Clean, simple rooms. Jungle Lodge – Nice hotel with semi-luxurious rooms and a pool. Tikal Inn – Simple rooms and bungalows with private bathrooms, and a nice swimming pool. For the budget traveller there is a camp site (GTQ50 per person or per site, not sure which). They have tents you can rent if you didn’t bring your own Q50. At the Jaguar Inn, you can get into the jungle mood by renting hammocks (with a mosquito net, access to showers and toilets), or a place to hang your own. Sleeping in a hammock is a surprisingly comfortable way to sleep. Many of the locals do it. A thrill ride along cables slung between tall trees in the jungle just outside the gate to Tikal National Park. You sit in a harness, slide from tree to tree, then climb up the tree to the next platform for the next cable. The highest trees poke above most of the canopy so you can see a long way. The longest cable ride is some 150 m.
This company has two routes. The main one is USD30 (as of December 2005). The second one is lower and shorter, at the end of a 20-minute walk into the forest, and costs USD10. The equipment and construction appears solid, and the ride itself is simple enough that everyone from seven-year-olds to grandmothers can do it. There appears to be a bit of a rush at 11:00, but try to wait and go in a smaller group if you can – it will be more fun. Reservations possible but don’t seem necessary. It might make sense to take the canopy tour on the second morning of a two-day Tikal tour, and arrange for the hotel transfer to Flores to pick you up at the park gate, rather than backtracking to the hotel first. Lots of very tall trees provide shade along the wide trails as you trek from one ruin to the next. With the exception of Temple IV the elevations are small. Very steep wooden staircases lead up to the temples that are open to the public. Only minimal disabled access is provided. If you go early enough in the morning (or better still, stay at one of the hotels in the park), it’s possible to see and hear the monkeys. Spider monkeys sleep together in large groups, but during the day they disperse. It’s easiest to see them when they’ve woken up and are beginning to move around. Howler monkeys are more often heard than seen. Coatimundis, a racoon-like mammal and brightly coloured wild “ocellated” turkeys, are everywhere. Toucans and other exotic birds contribute to the ruins’ reputation for wonderful bird watching. Jaguars are rare but have been spotted on the more remote trails. It’s sunny, hot and humid, even in winter so dress lightly and bring water since you will be sweating climbing up the many steep steps of the monuments which are spread out. The trails are also muddy in a few places but there is plenty of shade under the canopy of trees. Winter nights can be cool.